The University of Dubuque football team have won eight Iowa Conference Championships in football, most recently in 2015 (undefeated IIAC season 7-0, first since 1979) and 2011 for head coach Stan Zweifel. The Spartans have finished in the top half of the league nine times in the past 11 seasons. The Spartans pride themselves in competing in the classroom as well as on the field. The Spartans academic excellence is shown with all of the Academic All-Iowa Conference Honorees, Capital One®/CoSIDA Academic All-America Honorees, and National Football Foundation Scholar-Athletes earned the past few years. The Spartans are proud to have had five semifinalists and one finalist in the prestigious William V. Campbell Trophy Finalist, which is often referred as the "Academic Heisman" award in the past six years. The 2017 Cliff Harris Award Trophy - Michael Joseph (Small College Defensive Player of the Year (DII, DIII, NAIA) and the 2011 Gagliardi Trophy Michel Zweifel (Division III Heisman Award) both reside at the University of Dubuque in the Chlapaty Recreation and Wellness Center. UD is the only Division III school to have both trophies! The Spartans are the only Division III school to have won the Cliff Harris Award. Michael Joseph (CB/DB) was a consensus First Team All-American in 2017, only Division III player to be invited to the Reese's Senior Bowl, and to the 2018 NFL Combine. Michael Zweifel (wide receiver) was invited to the NFL's Green Bay Packers Rookie Camp in 2012 and played after college with the Vienna Vikings in Europe. In 2016, Dominique Ravenell was invited to the Minnesta Vikings Rookie Camp. In 2015 Darren Myles was invited to the Minnesota Vikings Rookie Camp as a safety and Tyler Rutenbeck (wide receiver) was a free agent signing for the Washington Redskins and was also signed a free agent contract to the Indianapolis Colts in 2015, currently plays for the Schwäbisch Hall Unicorns in Europe. Wyatt Hanus was a quarterback invited to the Minnesota Vikings Rookie Camp in 2013. Daunte Peterson was a Buffalo Bills Rookie Camp Invitee and played for the Rhein Fire in NFL Europa in 2006. The Spartans play under the lights of Chalmers Field, an EcoTurf surface with a video board displaying animations, live shots, and slow motion replays of the Spartans throughout the game. The Spartans held the first ever "Live" Iowa Conference football broadcast on KCRG (ABC-affiliate) in 2011. In January of 2014, UD opened the Veterans Memorial Training Center (VMTC). The VMTC is an indoor practice facility 180 feet by 210 feet with a 60 yard artificial grass surface area utilized by various sports and intramurals. The passionate coaching staff will push you to work hard in and out of the classroom. Become a more complete student-athlete over your collegiate career as Coach Zweifel and his staff help you become a better person and prepare you for life after graduation. UD offers many opportunities for you to volunteer helping at-risk students, for example, as you participate in UD football community service projects. 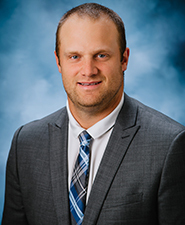 The University of Dubuque announces, Dan Clark has joined the Spartans as Offensive Coordinator and Offensive Line Coach for the Spartan football team. The University of Dubuque’s Oscar White (Cl’15) a native of River Falls, Wis., earned a spot on the San Antonio Commanders team as a defensive back among the Alliance of American Football League which begins in February on CBS. If you're interested in playing football at the University of Dubuque, complete the prospect form, and a coach will be in touch. 1 Emanuel Jenkins WR 6-2 198 Junior Menasha, Wis.
3 Joshua Esikiel DB 5-11 173 Senior Lake in the Hills, Ill.
3A Danny Herrera QB 6-0 180 Sophomore San Tan Valley, Ariz.
4 Cody Folkers QB 6-3 185 Junior Fall Creek, Wis.
4A Seondae Stewart DB 6-3 185 Freshman Kenosha, Wis.
5 Johnny Higgins DB 5-9 165 Senior Elgin, Ill.
9 Doug Gates DL 6-2 225 Senior Zion, Ill.
10 Freddy Walton LB 5-8 180 Sophomore Montgomery, Ill.
11 Robert Herrera QB 6-2 195 Senior San Tan Valley, Ariz.
11A Thierno Aidara DB 5-11 180 Freshman Chi, Ill.
12 Titus McFarland WR 6-0 170 Sophomore Oak Park, Ill.
12A Brenton Baldwin QB 5-10 150 Freshman Westmont, Ill.
14 Patrick Ryan QB 6-3 180 Freshman Naperville, Ill.
15 Blaze Barista DB 6-2 174 Junior Wheaton, Ill.
17 Tyler Sheffield WR 5-11 185 Freshman Delavan, Wis.
20 Maurece (Mo) Herrion RB 5-11 217 Senior Elgin, Ill.
21A Izayah McKinnie DB 6-0 170 Freshman Rockford, Ill.
22 Keyshawn Carr RB 5-8 218 Junior Milwaukee, Wis.
23 Tim McFarland DB 5-11 160 Sophomore Oak Park, Ill.
24 Dwayne Allen Jr. RB 5-11 185 Junior Hampshire, Ill.
25 Dalton Knaack DB 5-11 178 Sophomore Menasha, Wis.
26 Ben Duarte DB 6-0 173 Junior Lyons, Ill.
27 Brevin Anderson DB 5-9 172 Junior Janesville, Wis.
28 Markhus Taylor DB 6-1 178 Junior Skokie, Ill.
29 Jeffrey Pittman DB 6-2 170 Junior Evanston, Ill.
30A Philip Jorstad RB 5-9 160 Freshman Chippewa Falls, Wis.
32 TJ Jackson RB 5-11 230 Junior North Aurora, Ill.
32A Malik Ecford LB 5-11 180 Freshman Park Forest, Ill.
33 Lee Dunahee LB 6-1 195 Sophomore Cambria, Wis.
33A Liam Malone RB 5-11 225 Freshman Chicago, Ill.
34 Dequan Epperson RB 5-9 220 Sophomore Waynesville, Mo. 35 Jacob Owens LB 6-4 203 Senior Mesa, Ariz.
36 Brandon Dutkiewicz LB 6-1 189 Junior St. Francis, Wis.
39 Jacob Wolf K 5-10 155 Freshman Henderson, Nev.
41 Chad Marsh LB 6-0 222 Junior Oswego, Ill.
42 Eshaunte' Williams LB 5-8 220 Senior Zion Benton, Ill.
43 Adam Rothas TE 6-3 221 Junior Lake Zurich, Ill.
44 Richardo Luna RB 5-8 175 Senior Lombard, Ill.
45 Kobe Starkey LB 6-1 185 Sophomore Menasha, Wis.
46 Tyler Morningstar LS 5-11 210 Freshman Hudsonville, Mich.
47 Adam Steingraeber LB 6-1 240 Sophomore Waukesha, Wis.
51 Louie De La Cruz LB 5-11 175 Senior Panorama City, Calif.
53 Allen Rodriguez OL 6-0 235 Sophomore Orfordville, Wis.
55 Gino Romano LB 6-2 220 Freshman Bloomingdale, Ill.
58 Isaiah Elmhati LB 5-10 187 Freshman Skokie, Ill.
60 Joxua Baughman LB 6-1 244 Sophomore Columbia, S.C.
62 Javion Caldwell 6-8 290 Freshman Chicago, Ill.
63 Nicholas Brambila OL 6-3 287 Junior Kerman, Calif.
64 Tracy Monden OL 5-10 315 Sophomore Chicago, Ill.
65 Goran Dzolic OL 6-7 300 Freshman Stickney, Ill.
68 Jamie Cruz OL 6-0 260 Senior Pacoima, Calif.
70 J'Kolbi Grant DL 5-10 270 Freshman Carolstream, Ill.
71 Angel Rivera OL 6-2 285 Freshman Chicago, Ill.
72 Collin Stefanowski OL 6-2 278 Senior Lake Villa, Ill.
73 Rickey Robinson OL 6-4 250 Freshman Oak Park, Ill.
74 Anthony Saffo OL 6-0 280 Freshman Richton Park, Ill.
75 De'Quan Ramsey OL 6-0 225 Freshman Carol Stream, Ill.
76 Jacob Britton OL 6-5 267 Senior Wonder Lake, Ill.
77 Jarrett Daniel OL 6-4 225 Freshman Tinley Park, Ill.
78 Jacob Beasley DL 6-3 250 Sophomore Edgerton, Wis.
79 Danny Petrela DL 5-11 305 Sophomore Summit, N.J.
80 Cullen Carter-Brooks TE 6-5 210 Freshman New Glarus, Wis.
81 Tyler Gordon TE 6-4 180 Sophomore Oswego, Ill.
82 Andre Childs WR 5-10 170 Freshman Milwaukee, Wis.
84 Cortez Thompson WR 6-1 180 Sophomore Madison, Wis.
85 AJ Hunter WR 6-0 170 Junior Elgin, Ill.
86 Liam Kenny WR 6-2 175 Freshman Fennimore, Wis.
87 Nicholas Parker WR 5-11 190 Freshman Cottonwood Heights, Vt.
88 Jordan LaBelle WR 5-10 170 Sophomore Skokie, Ill.
89 Andy Vujnovich P 6-3 197 Freshman Columbus, Wis.
90 Josh Gouskos DL 6-2 240 Freshman Barrington, Ill.
91 Dulani Evans DL 6-2 270 Freshman St. Louis, Mo. 92 Tyson Welsch DL 6-2 290 Freshman Monroe, Wis.
93 Justin Thompson DL 6-0 225 Freshman Bolingbrook, Ill.
96 Quincy Topel DL 6-1 215 Junior Elgin, Ill.
97 Donald Wilson DL 6-3 235 Freshman Belleville, Ill.
98 Elisha Grant DL 6-1 230 Sophomore Homewood, Ill.
99 Kyle Marsh DL 6-3 240 Sophomore Oswego, Ill.
Named Honorable Mention All-Iowa Conference ... piled up 140 yards on 31 carries and career-high four touchdowns in 45-13 win vs. No. 6 Wartburg on Homecoming (10/17), earned IIAC Male Athlete of the Week for efforts ... totaled career-high 170 rushing yards on 28 carries in Spartans' fourth-straight win over Loras (10/31) ... rushed for 87+ yards and 2+ TDs in first five career games, scored at least one TD in first 10 games ... averaged 103.4 rush yards per game despite 16 yards on four carries in injury-shortened NCAA playoff game at St. John's (11/21) ... finished 2nd in IIAC with 114.8 rush yds per game and in scoring (72 points on 12 TDs) during IIAC play. Totaled a season-high six tackles in win with one pass breakup vs. Central (11/14). Appeared in six games with two starts on the offensive line. Appeared and started in all 10 of UD's games. Appeared in nine games, starting all of those. Appeared and started in all 10 games. Appeared in nine games, starting in all of them. Appeared in two games .. Recorded to tackles and 0.5 tackle for loss. 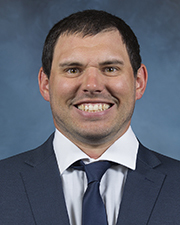 Dan Clark joined the University of Dubuque as Offensive Coordinator and Offensive Line Coach for the Spartan football team in the Spring of 2019. Clark coached previously at Stephen F. Austin in Nacogdoches, Texas, as offensive line coach. Prior to Stephen F. Austin, Clark spent five seasons on the Illinois State coaching staff including two as co-offensive coordinator. During Clark’s tenure at Illinois State, the Redbird’s offensive line was a model of consistency. Aiding Illinois State to three FCS playoff appearances from 2014-16, Clark’s offensive line setup the Redbird’s run to the 2014 FCS title game in Frisco, Texas. Illinois State’s offensive line saw all five of its players start every game in 2015, as the Redbirds advanced to the FCS quarterfinals for the third time in four seasons. The group, anchored by All-Missouri Valley Football Conference First Team center Mark Spelman, led the way for First-Team All-American and two-time MVFC Offensive Player of the Year Marshaun Coprich, who led the MVFC in rushing yards (1,967), touchdowns (23), yards per game (151.3), all-purpose yards per game (166.4) and scoring (11.2). Clark’s offensive line also kept two-time MVFC First-Team quarterback Tre Roberson upright and gave him holes to run through. Over his two seasons at Illinois State, Roberson put his name in the record books and ranked No. 1 in school history in career yards per rush (6.14) and passing efficiency (150.3), while ranking fifth in career passing yards (5,446) and touchdowns (48). Roberson also led all quarterbacks in Illinois State history with 22 rushing touchdowns and 1,806 yards rushing. The Redbird offensive line was a key factor in Illinois State’s historic success in 2014 and helped to set 15 single-season school records. Illinois State finished the season ranked in the top 10 nationally in rushing yards per game with 241.3 and ninth in scoring offense with 38.3 points per game. Anchored by seniors Jermaine Barton (All-MVFC First Team), Rocco Ammons (All-MVFC Second-Team) and Mike Liedtke (All-MVFC Honorable Mention), the line helped open holes for Coprich, who led the FCS with 2,274 rushing yards and 27 touchdowns. The group also helped protect MVFC Newcomer of the Year Roberson, who finished the year ranked in the top five nationally in five statistical categories and set numerous school single-season records as the Redbird’s quarterback. Clark mentored offensive guard Michael Liedtke of the Tampa Bay Buccaneers and offensive tackle Jermaine Barton of the Buffalo Bills during his time with the Redbirds, while also working with the Josh Aladenoye, who went on to sign with Dallas Cowboys as a free agent. Prior to his stay in Normal, Illinois, Clark served as the tight ends and special teams coach at Northern Iowa for three seasons (2010-12). He was a part of the coaching staff that led the Panthers to two MVFC championships and two FCS playoff appearances with a cumulative record of 22-14. In 2010, Clark oversaw the play of Schuylar Oordt, who earned honorable mention All-MVFC honors after nabbing 24 receptions and three touchdowns. Following the 2010 season, Oordt took part in the 2011 NFL Scouting Combine in Indianapolis. In Clark’s first year at Northern Iowa, two of his graduating tight ends signed free agent contracts in the NFL. Oordt inked a deal with the St. Louis Rams, while Ryan Mahaffey signed as a free agent with the Baltimore Ravens. Before coaching at Northern Iowa, Clark served as an offensive graduate assistant coach at Big Ten stalwart the University of Iowa (2007-09). Clark assisted with the offensive line and tight ends, helping Iowa to three-consecutive bowl berths, including a victory over Georgia Tech in the 2010 FedEx Orange Bowl and the 2009 Outback Bowl title. Clark joined the Iowa staff after serving as the defensive coordinator and defensive backs coach at Iowa Central Community College for seven seasons (2000-06). During that time Clark helped Iowa Central compile a 56-20 overall record while advancing to a junior college bowl game in six of the seven seasons. Clark also served as an assistant coach at NCAA Division III Simpson College for four seasons (1996-99), after spending time on staff as a student assistant coach in 1995. While on the sidelines at Simpson College, Clark coached the quarterbacks for three seasons after guiding the linebacker corps for two seasons. During his time at Simpson College, the Storm reached the 1997 NCAA Division III semifinal game and posted a five-year combined record of 42-12. A four-year member of the Simpson College football team as an undergraduate (1991-94), Clark started behind center for three years and was a two-year starter at third base for the Storm’s baseball team. He received his bachelor’s degree in physical education at Simpson College in 1995. “It was important to me to get back to Iowa and closer to family, commented Clark. “It’s exciting the commitment UD has provided the student-athletes and providing them every opportunity to be successful. Working with Coach Zweifel and being back in the conference I played in also was a factor as I still have a lot of respect for the league. Meeting with Athletic Director Dan Runkle and president Bullock is what sold me on joining the University of Dubuque football staff. A native of Livermore, Iowa, Clark is a member of the American Football Coaches Association (AFCA) and the Iowa High School Football Association. His brother, Derrik, played football at Iowa State and his brother, Dallas, was an All-American tight end at Iowa before putting together an 11-year career in the NFL with the Indianapolis Colts, Tampa Bay Buccaneers and Baltimore Ravens. Dan and his wife, Kristin, have three children, a son Drew (18), a daughter Paetyn (16), and a son Jace (14). Stan Zweifel joined the University of Dubuque in 2008. Under his tenure, the Spartans won the 2011 and 2015 Iowa Conference Championships and qualified for the 2011 and 2015 NCAA Division III Championships, and UD tied for 2nd place in the Iowa Conference in 2012. Twice Zweifel was named Iowa Conference Coach of the Year (2011, 2015) and was a finalist for the Liberty Mutual National Coach of the Year in 2011. Prior to joining the Spartans as head coach, Zweifel was the Assistant Head Coach/Offensive Coordinator at Minnesota State University-Mankato where he helped lead the Mavericks to a 9-3 season in 2007, an NSIC-South Division Championship, and a berth in the 2007 NCAA Division II Football Championships. Prior to being a member of the Maverick Coaching Staff, Zweifel was the Assistant Head Coach and Offensive Coordinator at the University of Wisconsin-Whitewater for 16 seasons. During that time, the Warhawks enjoyed unparalleled success. They won six WIAC Conference Championships, played in 12 NCAA Division III playoff games, and those culminated into two NCAA Division III National Championship games in 2005 and 2006. Zweifel was named the Wisconsin Football Coaches Association Assistant Coach of the Year twice and was also a finalist for National Assistant Coach of the Year twice. In 2008, Zweifel was inducted into the Wisconsin Coaches Association Hall of Fame. In addition to the success Zweifel has enjoyed as a part of his accomplished coaching staffs, he has also written six books on offensive football and has produced 29 videos on the technical aspects of quarterbacks, wide receivers, and offensive line play. Coach to have his technical and drill work published by the AFCA in the AFCA Technical Manual 2009. Zweifel is nationally known for his clinic lectures, as well as being a highly sought camp director across the country. Coach Zweifel has been married to his wife Diane Heimerl Zweifel for 41 years, she is a dental hygienist. The Zweifels have four children: Saree was a teacher in San Diego, Calif., but now owns her own business “Girls On Target” and also teaches yoga in San Diego. She graduated from the University of Minnesota and was a four-year letterwinner for the Golden Gophers in track and field. Saree and her husband Steve reside in San Diego with their son River. Shannon, a 2008 graduate of UW-River Falls, was a three-time All-American in Track for the Falcons. She is a physical education teacher and girls basketball coach in Mexico City, Mexico. Michael is a 2012 graduate of UD and spent the summer of 2013 playing for the Vienna Vikings team in Europe. He helped the team win the European Football Championship after starting on both sides of the ball as a WR and DB. He owns his own business in Dubuque called “Building Better Athletes,” is a columnist for the Telegraph Herald newspaper in Dubuque, and finished his master’s degree in kinesiology. He married Jennifer (Fischer), who was a four-year letterwinner on the women’s basketball team for the Spartans, in August of 2016. Stan’s youngest son, Mark, graduated in May 2013 from the University of Dubuque where he majored in business. 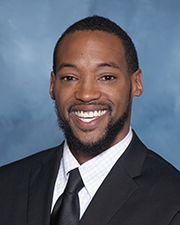 He works for the McKesson Corporation as a medical business analyst and completed his master’s degree in sports management from the University of Illinois – Urbana-Champaign campus in 2016. Zweifel graduated from Evansville High School in 1970 where he was a three sport letterwinner. He graduated from UW-River Falls in 1974 as an eight-time letterwinner: four in football and four in baseball. Upon graduation Zweifel became the head football coach at Markesan High School. 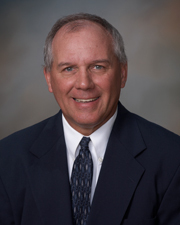 Stan has been the Head Coach at Markesan High School, New Ulm High School in New Ulm, Minn., Yankton College, and the University of Minnesota-Morris. 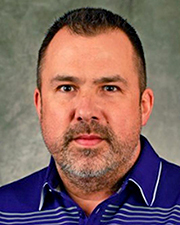 He has also been the offensive coordinator at Northern Colorado University, Minnesota State University-Mankato, and the University of Wisconsin-Whitewater. Zweifel helped produce 35 All-Americans, 162 All-Conference players, three Iowa Conference MVPs, and16 players have continued on to play professional football. Carl C. Coleman is entering his third season on the Spartans staff serving as the Defensive Coordinator and Recruiting Coordinator. During Coleman’s tenure as defensive coordinator, the Spartan defense has ranked among the conference’s best in total defense, scoring defense, rushing defense and pass efficiency defense. In the past two seasons, the Spartans have had 10 All-IIAC selections. Last season, the Spartans finished the Iowa Conference play leading the league pass efficiency defense with a league high 19 interceptions. The last two seasons, the Spartan defense finished in the Top-2 in total defense and pass defense. Coleman coached two All-Iowa Conference defensive backs who helped lead the IIAC in turnover margin at +18 and finished the season ranked 5th in the nation in turnover margin. The Spartan defense was also 10th in the nation in defensive touchdowns scored. In 2015, the Spartans utilized a stout defense led by Coleman to their first Iowa Conference title since 2011. With six All-IIAC selections, including Defensive MVP Blaine Snitker, Coleman’s defense led the IIAC during league play in scoring (15.4 ppg), total yards allowed (314.7 ypg), and six other major categories by a wide margin. UD held 5 out of 7 IIAC opponents under 16 points, including 13 points by then No. 6 ranked Wartburg in a Homecoming rout and seven points by Loras in the Key City Clash, both Top-3 scoring offenses in league. Forcing a league-high 18 turnovers, the Spartans also led the IIAC in turnover margin at +13. Coleman, a former defensive back, led a secondary that tied the league-high with 12 interceptions. He earned a Masters of Educational Administration and a Bachelor of Professional Studies as a player and coach at traditional Division III powerhouse, the University of Mary Hardin-Baylor, in Belton, Texas from 2004-2012. In 2014, Coleman served as the assistant football coach with linebackers at La Vega High School in Bellmead, Texas. Prior to La Vega, he was the assistant football coach with defensive backs and recruiting coordinator for Central College in Pella, Iowa from 2012-2014. Central boasted the number one total defense, passing efficiency defense, and scoring defense in the Iowa Conference (IIAC) in 2013. Nationally, the Dutch ranked 14th, 13th, and 10th, respectively. Coleman is a member of the American Football Coaches Association (AFCA), NCAA Future Football Coaches Academy Class of 2009, and Texas High School Coaches Association (THSCA). He attended University High School in Waco, Tex. and played for his dad, LeRoy Coleman. Miles Hookstead is entering his fifth season on the Spartans staff and second with the running backs. He coached the wide receivers in 2014 and 2015 after spending the 2013 season with the offensive linemen. In the past two seasons, including the 2015 IIAC title team, Hookstead coached two outstanding All-IIAC receivers. Tyler Rutenbeck, named First Team as a senior in 2014, finished his career Top-5 in career receptions (163), touchdowns (42, tied school record), yards per catch (16.7), and receiving yards (2,715). Rutenbeck participated in training camps with the Indianapolis Colts at the end of his UD career. Chris Bagley, a 2015 graduate, was a three-time All-IIAC selection and also ended his career among the top in UD history in receiving touchdowns (4th - 24), receptions (6th - 153) and reception yards (7th - 2,100). A University of Dubuque graduate, Hookstead was a two-sport athlete participating in football and basketball. He was a four-year starter on the football team at tight end from 2009-2012. He was a key member of the 2011 team that won the Iowa Conference Championship and earned a berth in the Division III Playoffs. In 2012, he was named First Team All-Iowa Conference and Third Team BSN All-American. He was also chosen Second Team All-Iowa Conference and Third Team D3football.com All-Region in 2011. Hookstead was a two-year starter on the basketball team at center and played from 2009-2013. The 2013 team won the Iowa Conference Tournament Championship to earn a place in the NCAA Division III National Tournament. A standout on the field and in the classroom, Hookstead earned Academic All-Iowa Conference six times (3-football, 3-basketball) while also being inducted to the National Football Foundation Hampshire Honor Society. He was also chosen First Team Capital One/CoSIDA Academic All-District in 2011 and 2012, First Team Capital One/CoSIDA Academic All-American in 2011, and Second Team Capital One/CoSIDA Academic All-American in 2012. 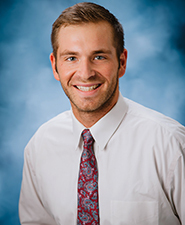 Hookstead earned his bachelor’s degree from the University of Dubuque in the spring of 2013 where he majored in Health, Wellness, & Recreation with minors in Business and Coaching. A native of Whitewater, Wis., Hookstead was a 12-time letter winner (four in football, four in basketball, and four in baseball) at Whitewater High School. He resides in Dubuque with his wife Kelsey. Bridgette Brandt is entering her second season with the Spartan Football Program. After serving as a recruiting intern in 2016, she was hired as the Football Operations and Recruiting Graduate Assistant in the spring of 2017. 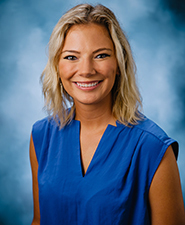 A 2016 graduate of the University of Dubuque, Brandt earned her undergraduate degree in Sports Marketing and Management. She will be in charge of all game day football operations, travel, and recruiting visits for the Spartans. A native of Oconomowoc, Wisconsin, she graduated from Lake Country Lutheran High School in 2013 where she earned eight varsity letters. Brandt currently resides in Dubuque, Iowa. DUBUQUE, Iowa - The University of Dubuque football team announced the 2016 team awards as selected by the coaching staff and teammates after a successful 8-2 season and runner-up in Iowa Conference standings. The 2016 Spartans returning from their undefeated 2015 IIAC season rolled up 398 points, 4,357 yards of offense, 21 interceptions, and 17 caused fumbles. Quarterback Conor Feckley (Jr., Anchorage, Alaska/Anchorage West HS) completed 222-390 pass attempts (56.9%) and threw for 3,129 yards and 37 touchdowns, rushed for 115 yards and a pair of touchdowns in 2016. In 10 games, Feckley finished with a quarterback effeciency of 151.5. Twelve Spartans would catch at least one pass in 2016. Najee Toomer (Sr., Maywood, Ill./Walther Lutheran HS) led the receiving corps with 67 grabs for 1,183 yards (17.7 yards average), 13 touchdowns and a game average of 118.3 yards. The quartet of Austin Morgan (So., Henderson, Nev./Foothill HS) - 42 receptions, 384 yards, Dylan Schultz (Jr., Orion, Ill./Orion HS) - 40 receptions, 494 yards, Jonathan Duarte (Sr., Morton, Ill./Morton West HS) - 34 receptions, 528 yards, and Emmanuel Jenkins (Fr., Menasha, Wis./Menasha HS) - 25 receptions, 393 yards made up the majority of the remaining wide receiving statistics. Maurece "Mo" Herrion (So., Elgin, Ill./Larkin HS) continued where he left off in 2015 and led the Spartans ground attack with 179 carries for 751 yards and eight touchdowns for an average 75.1 yards a game. Dwayne Allen Jr. (Fr., Hampshire, Ill./St. Edward Central Catholic HS) carried the ball 66 times and finished 2016 with 323 yards and four touchdowns with his longest run being 67 yards. Allen Jr. led kick returns with 17 for 430 yards with his longest being a return of 62 yards. Connor O'Malley (So., Pewaukee, Wis./ Pewaukee HS) punted 44 times and dropped the ball inside of the opponents 20 yard line 12 times with four punts finishing over 50 yards. His season average was 39.9 yards and booted the longest of the season of 65 yards on Oct. 22 at Buena Vista University in Storm Lake, Iowa. Place kicker Brayden Neuendorf (Jr., Denver, Iowa/Denver HS) was near perfect in extra points making 46-48 attempts, he was 4-7 in field goals. He helped the Spartans win a three overtime thriller over the Buena Vista University Beavers when he connected on all three field goal attempts (35, 38, 27 yards) in a 45-37 victory. His clutch 35 yard field goal with just eight seconds remaining in the game, helped carry the momentum for the Spartans heading into overtime. He also helped pin the opponents deep on kick-offs with 66 kicks for 3,857 yards (58.4 yards a kick-off), nine for a touchback, keeping the opponents drive starts on the 24 yard line. UD's defense collected 21 interceptions, Michael Joseph (Jr., Oswego, Ill./Oswego HS) led with four and return yardage of 86 yards. Derek Schambow (Jr., Platteville, Wis./Platteville HS) and Derek Trotter (Jr., Tripoli, Iowa/Wapsie Valley HS) both collected three interceptions each. Le'Devin Smith (Jr., Downers Grove, Ill./Downers Grove South HS), Blaze Barista (Fr., Wheaton, Ill./Wheaton-Warrenville South) , Joseph McMahon (So., Leaf River, Ill./Rockford Christian HS) and Jacob Owens all picked a fumble and returned for a combined 135 yards. Smith and McMahon would score a touchdown on their recoveries. The duo of Smith and Trotter led the defensive unit 95 tackles each. Smith had three tackles for loss, four pass break-ups, six pass deflections, two forced fumbles, and a blocked kick. Joseph finished with 68 tackles, four for loss of 15 yards, one sack, eight pass break-ups, 12 pass deflections, and one blocked kick. Schambow ended 2016 with 54 tackles, 2.5 sacks, two pass break-ups, five pass delections, and a forced fumble. McMahon collected 52 tackles with five for loss, he had three quarterback hurries. DUBUQUE, Iowa - The No. 23 ranked University of Dubuque football team swept through the Iowa Conference slate and finished 8-3, 7-0 IIAC to claim their first Iowa Conference title since 2011. Senior linebacker Blaine Snitker was named Iowa Conference Defensive MVP while Coach Stan Zweifel took home IIAC Coach of the Year honors for the second time as UD set a school record with 17 All-IIAC selections. The Spartans earned their fourth Division III NCAA Tournament bid, but concluded their season in the first round of the NCAA Tournament at St. John's. In their undefeated run, the Spartans outscored their opponents by nearly 21 points a game and compiled a league-leading turnover margin of +13 in seven games. The Spartans earned their second IIAC title and NCAA bid in Coach Z's seventh season at the helm. Besides squeaking out the Iowa Conference opener vs. Luther, 16-14, the Spartans were led by a proficient offense behind newcomers, Division I transfer quarterback Rio Johnson (IIAC-leading 172.7 passer rating) and freshman running back Maurece (Mo) Herrion (689 yards and 12 TDs) that sparked an offensive attack that scored 31+ points in each of last six IIAC games. Johnson threw 14 touchdowns against three interceptions during league play while Herrion totaled 87+ yards and 2+ touchdowns in each of his first five career games. Snitker (52 tackles, one interception) and the UDefense complemented the Spartan offensive to lead the Iowa Conference in scoring defense (15.4 ppg) and total defense (314.7 ypg) by a wide margin in league play, while senior linebacker Trevor Stauner finished second in the IIAC with 73 tackles. Snitker (21 tackles) and Stauner (19) both set career-highs in win over Luther. A standout on and off the field, Snitker, a three-time First Team All-IIAC selection, also earned Third Team All-West Region, Cliff Harris Award finalist recognition, William V. Campbell trophy semifinalist recognition, National Football Foundation Scholar Athlete of the Day, Academic All-Iowa Conference, and First Team CoSIDA Academic All-District for the second time. Highlight wins included a 45-13 romp over No. 19 Wartburg (ranked No. 6 at the time) on Homecoming, followed a few weeks later by their fifth-straight Key City win vs. Loras, 42-7. The Spartans have dominated the Duhawks after outscoring their cross-town rivals by a total score of 218-30 in the five-game streak. UD rebounded from an 0-2 start against a pair of ranked opponents that included losses at No. 10 St. John's in season-opener and at home against border rival No. 14 UW-Platteville. A steady Spartan team stayed the course and proceeded to win their final eight games of the regular season, starting with a victory out west against Pacific University (Ore.), 31-29. The Spartans finished fifth in the Iowa Intercollegiate Athletic Conference (IIAC) after ending the season with a record of 4-6, 3-4 IIAC. Coach Zweifel added his 32nd win of his UD tenure after securing a victory over Coe, 29-27, on November 8 in the Spartans home finale. Senior WR Tyler Rutenbeck cemented his place in UD history after tying the all-time receiving TDs record of 42 with Zweifel ’11 and Plummer ’99 in the last game of his career. Coach Zweifel and Rutenbeck anchored a squad that finished the season as winners of two of their last three, including their fourth-straight dominant victory (outscored Loras 176-23 in the last four games) in the Key City Clash against Loras, 34-7. It was an up-and-down season that saw a number of standout performances and potential at a variety of positions. A trio of All-IIAC honorees - all juniors - DB Oscar White, LB Blaine Snitker, and K Curtis Prull helped secure a pair of victories after crucial last minute plays. White’s interception in the Spartans end zone ended Pacific’s potential game-winning drive in UD’s first win of the season, 16-10, on September 20. Prull keyed the winning effort after hitting all three of his field goals. Prull finished as the only kicker in the IIAC not to miss a field goal (9 for 9). Snitker deflected Coe’s pass to stop a two-point conversion to seal the 29-27 victory on November 8. In arguably their best game of the year, the Spartans came up short, 26-21, against the no. 8 team in the country on the road on September 13. Freshman RB Alec Arvanitakis established his consistent production with 100 yards on 19 carries and one touchdown. It was the start of five straight 85+ yard games that ended on October 25 against Buena Vista after a 77-yard day. The senior connection of QB Zach Fry and WR Rutenbeck propelled the Spartans to a 44-10 rout over Simpson to cap off the October 11th Homecoming activities. Fry lit up the Storm defense to the tune of 278 yards and four touchdowns, while Rutenbeck finished with 92 yards and two touchdowns as the Spartans cruised. Two weeks later, the Fry-Rutenbeck connection came alive again despite the 39-44 setback to Buena Vista on October 25. Fry compiled 358 yards, five touchdowns while Rutenbeck totaled 137 yards and three touchdowns. LB Trevor Stauner added a season-high 18 tackles vs. Buena Vista and led the IIAC in tackles with 123 on the season. Stauner combined with Snitker and DB Vinny Whipple as three of the top-5 tacklers in the IIAC. Known as a passing factory, the UD secondary had a productive season of its own after leading the IIAC in interceptions with 16 and ending up second in pass defense efficiency at 114.8. The University of Dubuque football team finished in a three-way tie for third in the Iowa Intercollegiate Athletic Conference (IIAC) after ending the season with a record of 5-5, 4-3 IIAC. Coach Zweifel captured the 28th win of his tenure with an emphatic 56-0 victory over Loras on November 9. The Spartan attack was fueled by a powerhouse offense led by quarterback Bryan Bradshaw, wide receiver Tyler Rutenbeck, and running back Kyle Acker. All three were IIAC yardage leaders in their respective disciplines. After a quick 3-0 start to IIAC play, the Spartans dropped three of their last four by a combined 12 points. The three-game run featured wins over Central (23-21), where they stood pat after allowing Central's final points with 55 seconds to go, Luther (56-20), and no. 21 Coe (38-14), dominating the Kohawks on the road after a 21-point second quarter gave the Spartasn a convincing 28-7 halftime edge. Following the Spartans victory over Coe, UD received votes for the first and last time in the AFCA Division III Coaches Poll and the D3football.com Top-25 poll. Last minute stunners were the late season theme after a pair of touchdown passes and a field goal capped a trifecta of thrilling games. A 6-yard touchdown pass from Bradshaw to Chris Bagley resulted in a 15-15 tie with 11:47 remaining vs. Wartburg. The score held true until Wartburg tossed a 17-yard TD pass with 0:35 left on the clock. A week later featured the highest scoring bout of the season, 50-46, after Simpson overcame Bradshaw’s single-game UD passing record of 500 yards and four touchdowns. The Spartans let slip an 11-point lead with 8:49 remaining as Simpson scored 15 unanswered points, including the go-ahead, corner of the end zone 26-yard touchdown pass-catch with 33 seconds to go. Rutenbeck, the beneficiary of two Bradshaw TD catches, finished the game with 11 receptions and 235 yards. Following a 56-0 shellacking of Loras and a record five touchdown catches by Rutenbeck, the Spartans 28-19 lead over Buena Vista with 5:22 to go dissipated after the Beavers countered with a TD run and the go-ahead field goal with 58 seconds left. Bradshaw’s three TD tosses to Rutenbeck and Acker’s 165 yards rushing weren’t enough as the Beavers escaped, 29-28. Despite the heartbreaking losses, it was one of the best seasons statistically on both sides of the ball. The highest scoring offense during IIAC play also boasted the second-best overall defense (277.3 ypg allowed) with the best turnover margin (+5) and highest time of possession (32:42). Four First Team All-IIAC selections pioneered a prolific Spartan offense. Bradshaw’s one year as quarterback helped the UD offense set a Top-3 mark in UD history in passing yards (3,137), passing TDs (33), and total offense (4,398) for the third consecutive year. Bradshaw passed for the eighth most yards (3,003) in a career after just one season. Acker concluded his career with the fourth-most rushing yards (2,742) after a 993-yard, seven touchdown season. Acker utilized All-IIAC lineman Dominique Ravenell to the fourth most rushing yards in a single season in UD history. Meanwhile, Rutenbeck led the nation with 22 touchdown catches, three TD receptions shy of Michael Zweifel’s 25 TD season in 2011. Entering his senior year, Rutenbeck sits third with 31 career TD grabs. Sophomore Blaine Snitker represented UD’s lone First Team All-IIAC selection on defense after leading the Spartans in tackles (92) to go along with his 8.0 tackles for loss, 2.5 sacks, and two interceptions. Snitker also returned an interception 31 yards for a touchdown in 23-21 win over Central. The 2012 University of Dubuque Football team finished the season with an overall record of 5-5 and tied for second place in the Iowa Conference Championship at 4-3 for Head Coach Stan Zweifel. Senior Wyatt Hanus (Quarterback) was named IIAC Offensive MVP and was one of ten finalists for the 2012 Gagliardi Trophy. Seniors Hanus (QB), Miles Hookstead (Tight End), Richard Skaife (Offensive Line), and Malcolm Stewart (Defensive Back) earned First Team All-Iowa Conference. Seniors Marice Hill (Defensive Line) and Trevor Runkle (Linebacker) were named Second Team All-IIAC. Junior Doug Lillibridge (Punter) and freshman Heriberto Sandoval (Place Kicker) also earned second team all-conference. Junior Sean Anderson (Wide Receiver) and sophomore Dylan Ramsey (Defensive Back) were recognized as Honorable Mention All-IIAC. Hanus was also named Third Team Beyond Sports Network All-American. Hanus led the Iowa Conference in completions (258), passing yards (3,165), touchdown passes (27), and passing yards per game (316.5). The balanced passing attack resulted in Spartan receivers finishing 4-5-6-7 in receiving yards per game. Nationally, Hanus finished tenth in completions per game (25.8) and yards (3,165). As a team, the Spartans finished first in the IIAC in passing offense (318.5/game), passing defense (191.8/game), first downs (24.7/game), fourth-down conversions rate (66.7%), and time of possession (33:44/game). Freshman Austin Morgan (Wide Receiver) set a new Iowa Conference record for receptions in a game with 21 catches vs. Central. Michael Borland, Tyson Carter, Ian Cooper, Tyler Dobratz, Noah Evans, Brock Haas, Wyatt Hanus, Miles Hookstead, Austin Hughes, Logan Kunzie, Matthew Levin, Michael Murphy, Dylan Ramsey, Trevor Runkle, Malcolm Stewart, and Stephen Vassalotti earned Academic All-Iowa Conference. Carter, Hanus, Hookstead, and Vassalotti were all named First Team Capital One/CoSIDA Academic All-District. Hanus would go on to be named First Team Academic All-American while Hookstead brought home Second Team honors. In addition, Hanus was a semifinalist for the National Football Foundation's Campbell Trophy for Scholar-Athlete of the Year and a was a nominee for the Allstate AFCA Good Works Team. The 2011 University of Dubuque Football team finished the season with an overall record 9-2 and won the Iowa Conference Championship at 7-1 for head coach Stan Zweifel. Following the regular season, the Spartans advanced to the NCAA Divion III Championships. UD would lose in the 1st Round of the tournament to North Central College. Spartans wide receiver Michael Zweifel was named the 2011 Gagliardi Trophy winner, awarded annually to the most outstanding football player in NCAA Division III. Junior quarterback Wyatt Hanus was named the J.T. St. Lawrence Award for the Division III Junior of the Year. Coach Zweifel was honored by the AFCA as DIII Region 5 Coach of the Year and was a finalist for the Liberty Mutual Coach of the Year. As a team, UD was ranked as high as #18 in the AFCA Poll. Senior Michael Zweifel was named the MVP of the Iowa Conference while Head Coach Stan Zweifel was selected the Coach of the Year. Joinig Zweifel on the 1st Team All-Iowa Conference were seniors Demarcus Fleming (Wide Receiver) and Justin Spaulding (Running Back), and juniors Wyatt Hanus (Quarterback), Richard Skaife (Offensive line) and Stephen Vassalotti (Defensive line). Senior Tyler Lang (Offensive line) along with juniors Miles Hookstead (Tight end) and Trevor Runkle (Linebacker) were selected 2nd Team All-IIAC. Seniors Antonio Hayes (Defensive line) and Zweifel (Defensive back) were recognized as Honorable Mention All-IIAC. In addition of the Gagliardi Trophy and IIAC MVP, Zweifel was also named a finalist for the NFF Campbell Trophy, Allstate AFCA Good Works Team finalist, 1st Team AFCA All-American, 1st Team D3football All-American, 1st Team BSN All-American, 1st Team D3ProDay All-American, 2nd Team Associated Press Little All-American, 1st Team D3football.com All-Region, and All-West Region Co-Player of the Year from D3football.com. Spaulding capped his playing career as 3rd Team D3football.com All-American, 3rd Team D3ProDay All-American, and 1st Team D3football.com All-West Region. Hanus, 1st Team and Skaife, 3rd Team also earned All-American honors from BSN. Tyson Carter, Ian Cooper, Noah Evans, Wyatt Hanus, Miles Hookstead, Austin Hughes, Logan Kunzie, Matthew Levin, Ryan Mertens, Dylan Ramsey, Trevor Runkle, Justin Spaulding, Malcolm Stewart, Ryan Swope, Stephen Vassalotti, and Michael Zweifel earned Academic All-Iowa Conference. Hanus, Hookstead, Spaulding, and Zweifel were all named 1st Team Capital One/CoSIDA Academic All-Region. Hookstead, Spaulding, and Zweifel would go on to be selected 1st Team Academic All-Americans with Hanus being named 2nd Team All-America. Zweifel was also named Capital One/CoSIDA Academic All-American of the Year. The 2010 University of Dubuque Football team finished the season with an overall record of 4-6 and sixth place in the Iowa Conference at 3-5 for head coach Stan Zweifel. Juniors Demarcus Fleming (Wide Receiver) and Justin Spaulding (Running Back) along with sophomore Trevor Runkle (Linebacker) were selected 2nd Team All-Iowa Conference. Sophomores Ryan Stodden (Linebacker) and Stephen Vassalotti (Defensive line) were recognized as Honorable Mention All-IIAC. David Farrey, Wyatt Hanus, Miles Hookstead, Ryan Mertens, Brandon Milham, Justin Spaulding, Ryan Stodden, and Michael Zweifel earned Academic All-Iowa Conference. Spaulding was named 1st Team ESPN The Magazine Academic All-District running back while Zweifel made 2nd Team wide receiver. The 2009 University of Dubuque Football team finished the season with an overall record of 5-5 and tied for fourth place in the Iowa Conference at 4-4 under first year head coach Stan Zweifel. Junior Michael Zweifel (Wide Receiver) and sophomore Justin Spaulding (Running back) were chosen 1st Team All-Iowa Conference. Senior Colton Hansen (Quarterback) and sophomore Leonard Brady Jr. (Defensive back) were named 2nd Team All-IIAC. Freshman Richard Skaife (Offensive line) was recognized as Honorable Mention All-IIAC. Zweifel was also named 2nd Team D3football.com All-American, 3rd Team AP Little All-American, and 1st Team D3football.com All-Region. Benjamin Thompson earned Academic All-Iowa Conference. The 2008 University of Dubuque Football team finished the season with an overall record of 2-8 and eighth place in the Iowa Conference at 1-7. Collins Eboh (Defensive line) was named 1st Team All-Iowa Conference. Adam Burken (Tight end), Jeremy Laskowski (Linebacker), Dustin Vertin (Offensive line), and Orlando Walton (Defensive back) earned 2nd Team All-IIAC. Demacus Fleming (Wide Receiver) and Colton Hansen were recognized as Honorable Mention selections. Matt Brown, Adam Lang, Daniel Schaaumann, Benjamin Thompson, and Dustin Vertin earned Academic All-Iowa Conference. Vertin was selected 1st Team ESPN The Magazine/CoSIDA All-District. The 2007 University of Dubuque Football team finished the season with an overall record of 7-3 and tied for third place in the Iowa Conference at 5-3. Steve Coleman (Offensive line), Mike Fielding (Offensive line), Jermar Jackson (Quarterback), Mark Mashburn (Defensive back), and Travis Strowbridge (Defensive line) were chosen 1st Team All-Iowa Conference. Torrey Smith (Wide Receiver) was named 2nd Team All-IIAC. Adam Burken (Tight end), Brandon Stout (Offensive line), and Orlando Walton (Defensive back) were recognized as Honorable Mention selections. Coleman (Tackle) and Mashburn (Safety) were named 2nd Team D3football.com All-Region. Fielding (Guard) was named 3rd Team D3football.com All-Region. Michael Fielding, Mark Mashburn and Benjamin Thompson earned Academic All-Iowa Conference. Fielding and Mashburn were selected 1st Team ESPN The Magazine/CoSIDA All-District. The 2006 University of Dubuque Football team finished the season with an overall record of 6-4 and tied for third place in the Iowa Conference at 5-3. Senior Walner Belleus (Wide Receiver/Return Specialist) and junior Mark Mashburn (Defensive back) were named 1st Team All-Iowa Conference. Belleus (Defensive back), Jermar Jackson (Quarterback), Edward McIntosh (Wide Receiver), Brandon Stevens (Offensive line), and Jason Wilke (Defensive line) were selected 2nd Team All-IIAC. Belleus was also named 3rd Team Don Hansen Football Gazette All-American returner, 1st Team Football Gazette All-Region punt returner, and 3rd team Football Gazette All-Region wide receiver. Mashburn was chosen 3rd Team Football Gazette All-Region. Michael Fielding and Mikelange Olbel earned Academic All-Iowa Conference. The 2005 University of Dubuque Football team finished the season with an overall record of 2-8 and tied for eighth place in the Iowa Conference at 1-7. Seniors Toni Oriental (Defensive back) and Josh Staley (Tight end) were selected 1st Team All-Iowa Conference. Chris Alitz (Defensive line), Mike Fielding (Offensive line), Jermar Jackson (Quarterback), and Duante Peterson (Wide receiver) were named 2nd Team All-IIAC. Staley was also named Honorable Mention All-American by the Don Hansen Football Gazette, 2nd Team D.Hansen Football Gazette All-Region, and 3rd Team D3football.com All-Region. Oriental received Honorable Mention All-Region from the Football Gazette as well. Bruce Gaultney Jr., Josh Grundall, and Edward Simonic earned Academic All-Iowa Conference. Gaultney was also selected 1st Team ESPN The Magazine/CoSIDA Academic All-District. The 2004 University of Dubuque Football team finished the season with an overall record of 2-8 and tied for eighth place in the Iowa Conference at 1-7. Junior Toni Oriental (Defensive back) was selected 1st Team All-Iowa Conference. Michael Duffy, Bruce Gaultney Jr., Josh Grundall, Garrette Perrone, Tyler Simmons, Jon Southworth, and Jason Steinlicht earned Academic All-Iowa Conference. Steinlicht was also selected 2nd Team ESPN The Magazine/CoSIDA Academic All-District.